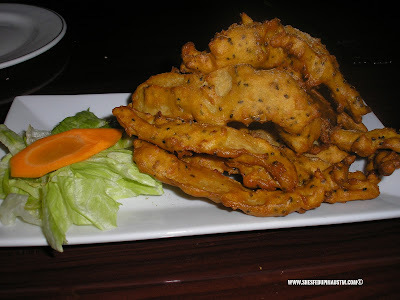 Let me preface this blog with a huge disclaimer: I know very little about Indian food. I've had Indian food exactly one time before from a buffet, and it was kind of mediocre. 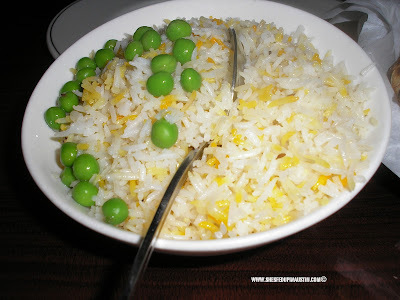 This blog may as well be titled "A non-Indian girl describes her second experience with Indian food". Decidedly un-foodie, I know. Bombay Bistro is casual, but very beautifully and tastefully appointed. The service is impeccable. The wait staff helps each other out, and all were so polite and attentive, yet non-intrusive. The service is on the level of a much more expensive restaurant. The first thing they brought to the table was the complimentary giant chip and two sauces. Kind of like chips and salsa. The big chip is folded over like a taco shell and is a whole lot spicier than it looks like it will be. I was amazed at how much flavor the chip could hold, unlike other chip-like things I've had. 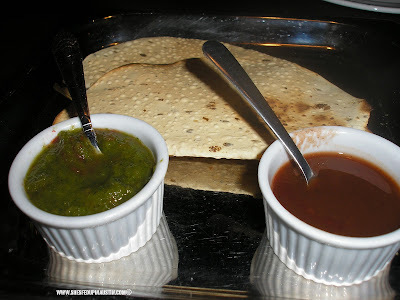 There was a reddish colored sauce and a green sauce for dipping. I tasted the sauces, I'm hard-pressed to describe either one. They had some familiar flavors, like cumin in the red sauce and mint and cilantro in the green. But, then, they were also very different from anything else I've had. For an appetizer, we had fried potato skins. Aloo Bhaja. All the years in Texas caused us to pronounce the "J" like an "H". The waiter very quietly corrected our pronunciation, without trying to shame us. I'm glad he did, because I will definitely order these again and I want to say it right next time. The potato skins are lightly fried in something like a tempura batter and the herbs they were seasoned with were akin to herbs found in falafel. I really enjoyed these. 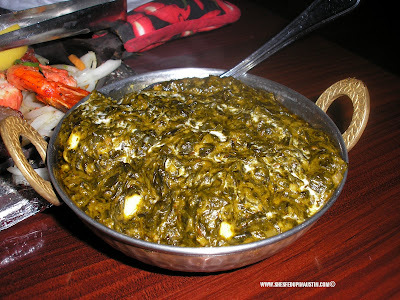 One of my husband's favorite things is saag paneer. This is kind of like creamed spinach with homemade fresh cheese lumps, sort of like fresh mozzarella. Bombay Bistro's was seasoned and spiced well. There was much care in the seasoning and preparation of each dish we had, which set it apart (by miles) from my one previous experience with Indian food on a buffet. 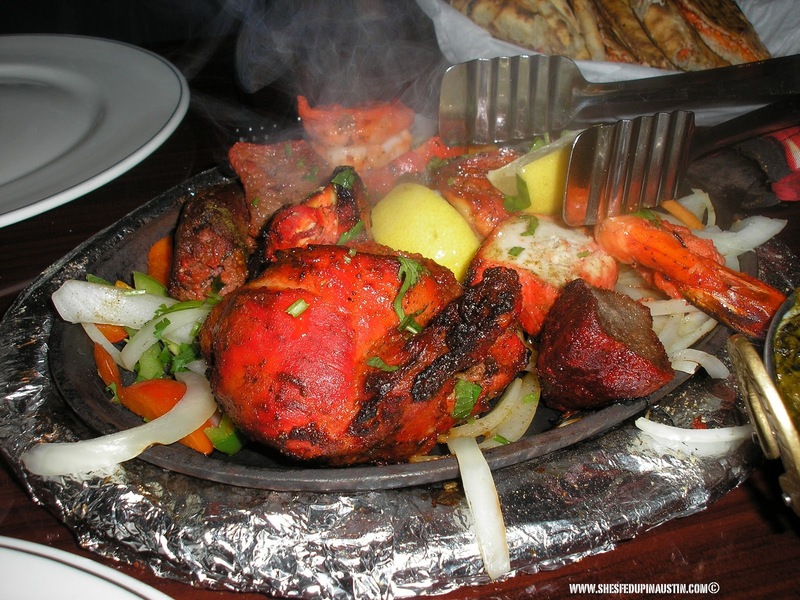 We shared the Bombay Mixed Grill (which comes out sizzling like a fajita platter). This was delicious. The chicken was marinated, bright red and moist and reminded me of the bright red short ribs at Chinese restaurants, in that it was both sweet and salty. The lamb was a bit dry, but the flavor was nice and mellow. The shrimp were fine, but not memorable. There was a sort of Indian sausage thing (ground lamb with seasonings) that I didn't care for, but Hubby liked. The naan, oh my goodness, was so delicious, especially the pashawari naan, which was sweet with a bright red filling of nuts and raisins. 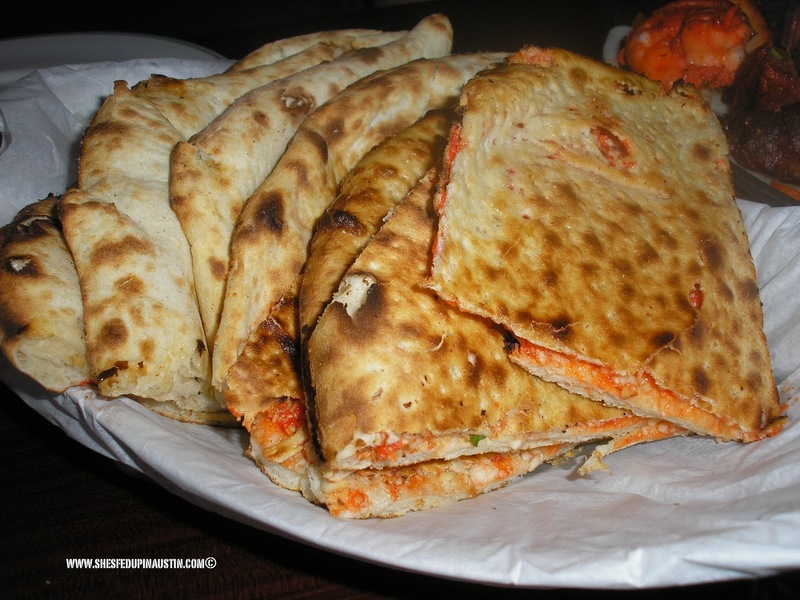 Naan is cooked in a tandoor (clay oven), which allows parts of it to get a sweet char on it (like a good pizza crust). The other breads were delicious too. The plain naan was so flavored with butter, I said I felt like I was eating a pancake without the syrup. The breads and the meats complemented each other so well. We ordered way too much food, so we had plenty leftover to take home with us. We did order with wild abandon this time. But I don't know what we'd leave out on the next visit. This recent visit to Bombay Bistro inspired my husband to stop at the bread aisle in the grocery store and ask, "Should we get some naan?" To which, I replied, singing the great Marvin Gaye hit, "Let's Get the Naan". Yeah, I'm a dork. Any errors made in the description of the food are mine and mine alone. Aloo Bhaja. Herbed fried potato skins. Paneer Kulcha in the back. Peshawari Naan in the front. We also had plain Naan in a separate basket.